Save some green->look for seasonal produce! Fruits and veggies in season all year! All good in moderation, right? High-fiber cereal bars (>3 grams of fiber per bar!) Or try this EASY healthy granola bar recipe! Read this article about contamination of naturally gluten-free grains. 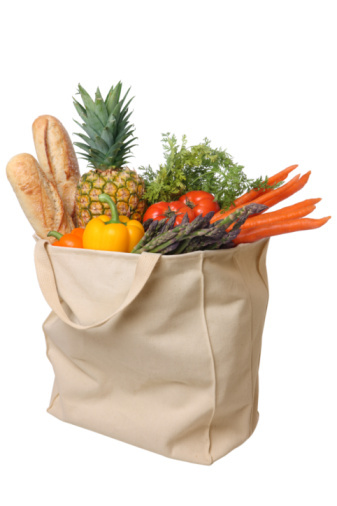 Did you know that buying frozen fruits and vegetables may be more nutritious then buying fresh? Stock up!! Follow me for more healthy tips! 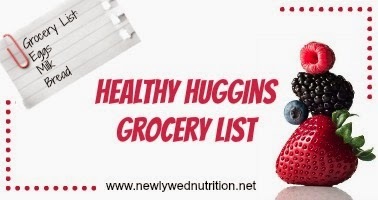 DO YOU HAVE ANY FAVORITE HEALTHY FOODS ITEMS NOT ON THE LIST? PLEASE, LET ME KNOW AND I'LL ADD IT TO THE LIST AND REFERENCE YOU AND/OR YOUR BLOG! Continue reading as I continue my mission: Healthy Huggins!